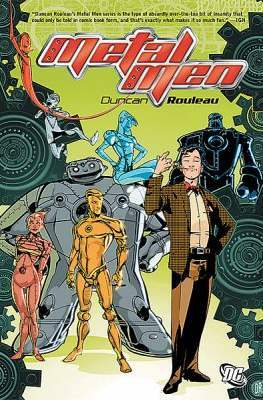 Collects Metal Men (2007 3rd Series) #1-8. Story and art by Duncan Rouleau. DC's metallic heroes return in this softcover collecting the 8-issue miniseries! 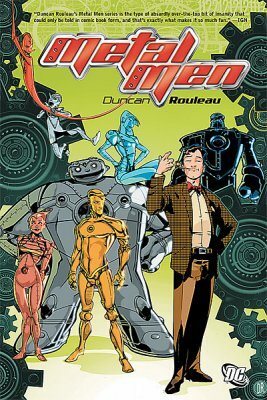 Gold, Platina, Mercury, Iron, Lead, Tin and Copper must face off the forces of Chemo, Doctor Yes, BOLTS, The Balloonatic and his Orphan Army, as well as the Robot Renegades in this action-packed volume! Softcover, 200 pages, full color.